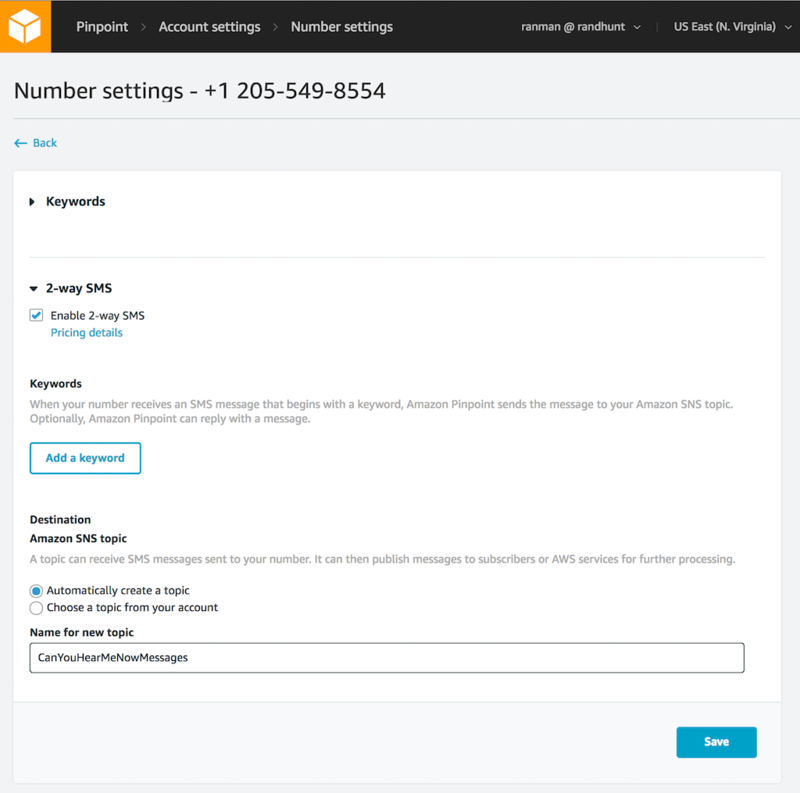 Last week Amazon Pinpoint launched AWS Global SMS two-way text messaging and we didn’t get an opportunity to cover the launch. AWS Pinpoint users can now programmaticaly respond to their end-users’ text messages. Users can provision both short codes and long codes (10-digit phone numbers) which send inbound messages to an SNS topic. Let’s take a look. First I’ll navigate to the Pinpoint console where I’ll use the “Create a project in Mobile Hub” button in the top right corner. I’ll follow the steps in the wizard until the project is created. Next, in the Pinpoint console I’ll click “Account Settings” in the top-right of the console window. At the bottom of the Account Settings page there is a “Number Settings” section. If you don’t already have any short codes or long codes provisioned you’ll have to open a support ticket to request one. It can take multiple weeks for a short code to be approved by all carriers. Long codes are typically easier to provision. Since I already have a few numbers provisioned I’ll use one of them now by clicking on it which brings me to that number’s configuration page. Here I’ll enable 2-way SMS and create an SNS topic for messages. I could create a quick lambda function to trigger on the SNS topic messages and then respond again with pinpoint. But pinpoint is extremely full-featured and you’re not limited to this simple message type. You can define rich messaging campaigns with various substitutions based on stored user data. 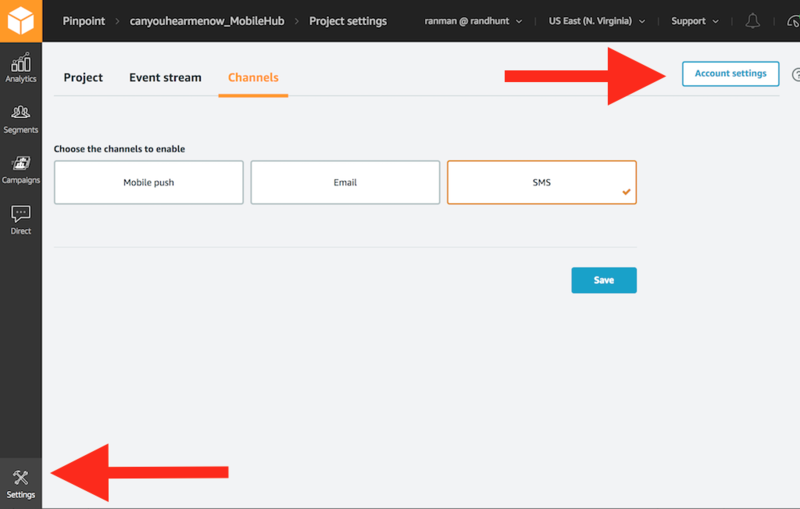 SMS is an area of continued investment for AWS so you can expect to see more advances and improvements as customers give us feedback on these new features. Let us know if you build anything cool with this! Senior Technical Evangelist at AWS. Formerly of NASA, SpaceX, and MongoDB.